Plaid isn't just for lumberjacks, cowboy's and dudes with bagpipes - it's also for dudes like you. If you're also a lumberjack, cowboy or bagpipe-playing kind of guy, that's even better. 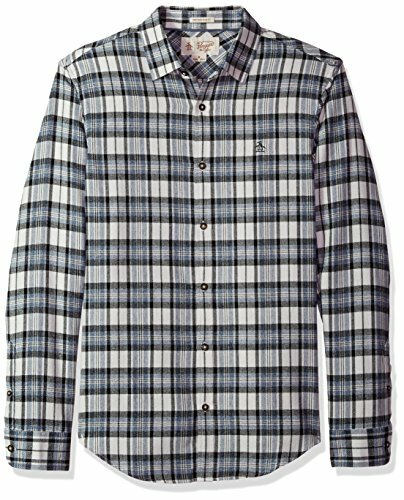 This men's long sleeve button-down plaid shirt is the perfect casual addition to your wardrobe whenever you need to look on point. And with a brushed herringbone pattern, this one's sure to be a showstopper.